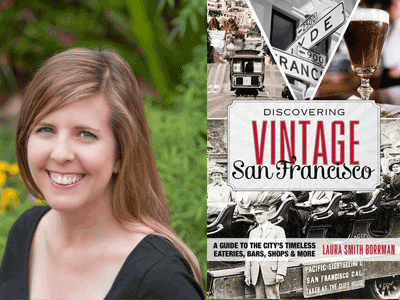 Writer, editor and interviewer Laura Smith Borrman shares her fascinating book, Discovering Vintage San Francisco: A Guide to the City's Timeless Eateries, Bars, Shops & More. An essential travel guide, Discovering Vintage San Francisco spotlights vintage restaurants, shops, and other establishments that still thrive today and evoke the unique character of the City. Start reading, and start your discovering today!